Grinders Archives - Make Coffee You Love! The most important set to making great coffee is the grind. Read reviews, learn tips and more. This month marks our release of several new Eureka grinders. The burly Atom 65 is more than a contender for the Gear of the Month crown, but given its price point we decided to feature one of the new Mignon grinders instead! These new Mignons come in three flavors. The least expensive of the trio is the Silenzio, which is a no frills, 50 mm burr grinder that runs silent but requires manual dosing. 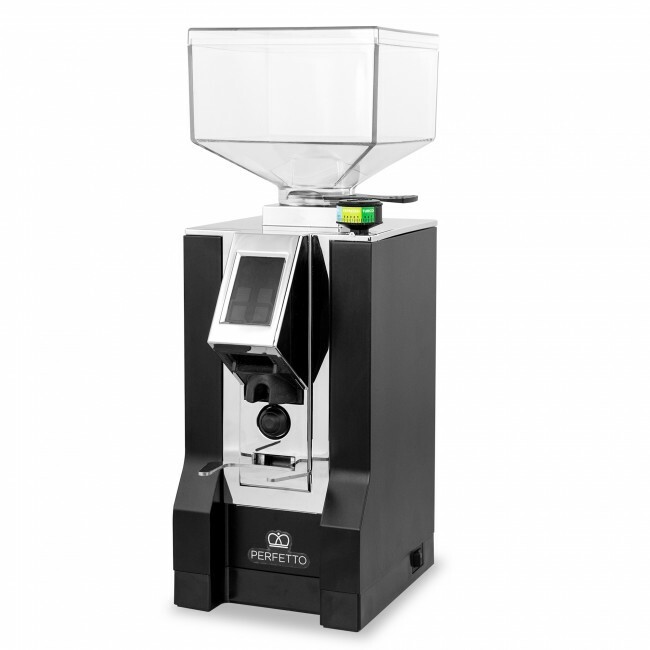 On the high end is the Specialita, which has all of the features of the Silenzio, plus timed dosing and a set of 55mm burrs. Both of these grinders are excellent options, but we decided to focus on the middle brother of the three, the Perfetto! The Perfetto strikes a nice balance between the Silenzio and the Specialita. It has the baffled internals for a whisper quiet grind, as well as the timed dosing and touch screen. The only thing that separates it from the Specialita is the burrs, with the Perfetto having the smaller, 50mm burrs. We still think it strikes a great balance between the two machines, and we think you will too! Let's dive in a little deeper. The first and most noticeable feature is how quiet this grinder is. Like the other new Mignons, the Perfetto is quiet enough to use at 4AM without waking the kids or the neighbors. It really is impressive how quiet these things get while still offering fast, consistent, and powerful grinding. On the usability front, the Perfetto offers timed dosing controlled by a vibrant and beautiful touch screen. While the interface is very simple, it's a huge step up from the manual control of the Silenzio and other non timed grinders. With a little but of time spent dialing in you'll be able to grind without needing to weigh your dose thanks to this timing. This cuts down on time spent prepping your shot, which is always a plus. It is worth noting that this touch screen is resistive, which means that pressure on the screen is what works the buttons. This can feel a little tacky in the age of capacitive touch phone screens, and you have to be careful not to press too hard. We didn't feel this detracted from how useful and striking the screen is. The other major usability feature is the EZ dial. This stepless dial has a guide on it that will help you find the starting point for your brew. While you'll still want to take time to dial in espresso shots, this dial will at least help you find where to start, and gives you a good guide for brewing drip or press. We did find that getting down into the Turkish level was really the sweet spot for espresso, so your mileage may vary. Aside from usability features, this grinder features the solid construction and excellent burrs that you'd expect from a Eureka grinder. While a little smaller than it's big brother, these burrs still do a great job grinding your coffee quickly and consistently. The footprint and durability of the Perfetto is also excellent, we don't expect to hear of many problems with this workhorse. Ultimately, the Mignon Perfetto is an excellent exercise in combining simplicity, usability, and durability. Get yours here today! This entry was posted in Grinders, Gear of the Month on August 16, 2018 by Pat Cotter. In this, the final part in our series on the basics of espresso, we'll walk you through dialing in a shot, from start to finish. Note that this process takes time to perfect, so don't worry if you have some trouble with it at first! Let's get started! The key to dialing in a new coffee for espresso is finding the right grind to create the perfect shot time. A general rule of thumb is that you'll want a ratio of water to coffee of around 2:1. This may vary depending on the roast, so be sure to try the recommend ratio if the bag suggests one! Note, this is different than drip brewing, so ignore anything that suggests a 16:1 ratio, that's meant for drip! You'll want to use a medium/fine setting to start. for most grinders, this is going to mean something around 4-6. This will be different on every grinder. For dose, 14-16 grams is a good starting point. After grinding, be sure to level the grounds to ensure even distribution using a tool or by gently tapping the side of the portafilter. Once you've ground some coffee into your portafilter, it's time to tamp! You'll want to apply pressure evenly across the grounds at around 30 lbs. A good way to measure this is to tamp until you feel like you're pressing against the counter top. After tamping, you're ready to pull your shot. The best way to really dial in a shot is to use a scale with a bottomless portafilter, but if you don't have access to it, don't worry about it! Just try to weigh the shot or use a measured shot pitcher so you can stop the extraction at around 1.5 oz. You'll want the shot to take 20-30 seconds to pull. Here are some common issues that you'll be fighting against while dialing your shot in! Channeling: If your shot is only pouring from one spout, try to make your tamp more even. This is often caused by the grounds being unleveled in the portafilter. Sour taste: If your shot is too sour, it's under extracted. Try a finer grind setting, which will increase the amount of time it takes to brew the shot. Bitter taste: If your shot is to bitter, it means it was over extracted. Try a coarser grind, which will lower the brew time. Using these rules of thumb, you should be able to dial in the right grind, tamp, and time for your new bag of espresso. As you get more experienced dialing in shots you'll be able to get closer to the perfect pull from the get-go, which will mean less wasted coffee! Stick with it, and remember to make coffee you love! This entry was posted in Grinders, Educational on August 6, 2018 by Pat Cotter. Time for another video round up featuring some awesome clips from Gail and John! First, feast your eyes on the Jura S8 in this crew review with Gail! Next, we joined John for some portafilter tips! Finally, something... Silent? This way comes, in an exciting sneak peak of some fantastic new grinders! Enjoy! And make some coffee you love this weekend for us! This entry was posted in Grinders, SCG News on July 27, 2018 by Pat Cotter. Welcome to the third part in our educational series on grinders! So far we've discussed burrs, motors, control settings, and more. This week we're closing out our Grinder focus with some talk about the odds and ends of various grinders. There's no doubt that the stuff we've covered already (burrs, motors, control, etc.) are what really matter when it comes to selecting a grinder. With that said, different options do offer a range of other add-ons that can sweeten the deal. The Eureka Drogheria (pictured here) is an example of a commercial grinder with a huge hopper. Hopper size is mostly important for commercial settings like cafés, but if you are the kind of consumer that drinks one kind of coffee all the time, being able to dump whole bags of beans in can be a nice feature. It is worth mentioned that in many cases you can swap out or replace hoppers down the road. This isn't always the case though, so it's best to find out ahead of time if your grinder choice has the ability to change hoppers before you buy. If you plan to brew with lots of different roasts for different methods, hopper size may not be an issue for you at all! Some grinders grind directly into a portafilter or container for quick brewing. Often these grinders will have some sort of control method controlled by a scale or timer to stop grinding. The other option for controlling flow of coffee out of a grinder is doser. Grinders with dosers feature a chamber on the front that the grounds go into after grinding. From there, you can use a lever to feed grounds into a portafilter or container. It's a great way to control the dose of your coffee and cut down on mess and waste. This type of grounder is particularly useful for espresso, as you'll usually be dosing into a portafilter. You definitely would not need to worry about shopping for dosers if you intend to brew press or drip coffee! Pictureed here is the Mazzer Mini E Type A! Scales, Timers, and Screens, Oh My! There's a lot of other odds and ends out there on grinders. The Eureka KRE uses a vibrant, bright display to walk you through options like single or double shots, and uses a timer to grind individual shots. You can set the grind time for single and double shots, then trigger a shot with the click of a trigger! The Baratza Sette Wi (pictured) offers Acaia scale technology to grind by weight instead of time. This gives your very precise grinding with just a little bit of extra set up time. It also features a screen that provides feedback and details about your grind settings. We've discussed all of the basics that you should know before you set out on your grinder shopping adventure. So what's next? First, you should determine exactly what kind of coffee you want to make. Are you planning on making drip or press? Pourover? Espresso? This decision will help you avoid wasting time and money on a grinder you'll just replace, and will give you a starting point. From there it's all about research. Using the info in this guide, look at things like burr type and size, motor speed, control type, hopper size, dosing control, etc. to really guarantee a great purchase. Now go forth and grind! P.S. 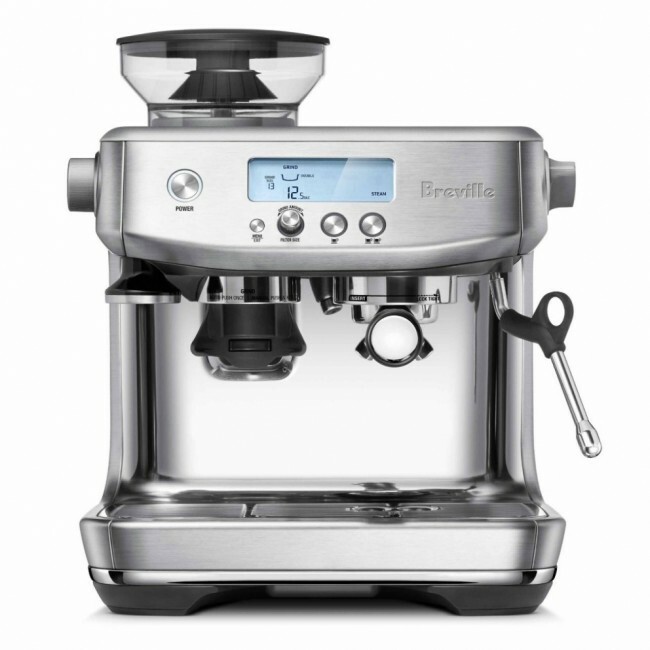 For some starting points, the Baratza Encore is a great drip and press grinder to start out with and the Breville Dose Control Pro offers a good starting point for espresso! This entry was posted in Grinders, Educational on July 16, 2018 by Pat Cotter. This entry was posted in Grinders, SCG News, Educational on July 13, 2018 by Pat Cotter. Last week we talked about the basics of burrs and grinders. You can find that post here! This week it's all about control and motors. Let's jump in! Grind control is another extremely important aspect of choosing a grinder. When we talk about "control" we mean opening and closing the burrs of the grinder to achieve a finer or coarser grind. Finer grounds are used for espresso and Turkish coffee. Coarser grinds are typically used for drip and press brew methods. There are two different control methods most commonly found on coffee grinders: stepped and stepless. Stepped grinders tend to "click" into place at set intervals. This is very useful if you need to switch between drip and press grind levels. On the other hand, stepless grinders don't feature this clicking between settings. Instead, they smoothly adjust from setting to setting. While this can make switching back and forth a pain, it helps for dialing in the perfect expresso grind immensely. But what does this mean for you? You should look for a control type that fits your needs. Stepless is great for espresso fans, while stepped grinders are better if you switch between drip and press methods a lot. Also of great importance is the motor in your grinder! This can be a hard thing to gauge without trying a grinder for yourself, but it's a key part of the machine. The motor spins the burrs in the grinder, which, of course, grinds the beans. The biggest concern when considering motors is reliability. It's easy to replace burrs, and controls very rarely fail, but a bad motor can be costly to fix. Motor quality can be hard to judge, but generally you can feel it when the grinder kicks on. Motors will sound consistent and strong if they are of good quality. You should also notice some torque when it comes on as well. The other aspects of a motor are volume, speed, and consistency. Noise reduction can be achieved with baffling and other techniques, but speed and consistency are all in the motor! You'll want a motor that works fast, but stays consistent with it's grinding. This is fairly easy to achieve with home grinders, but often techniques like gear reduction will be used to manage speed and consistency on commercial machines. Next week we'll dive even deeper and discuss all of the odds and ends that put grinders over the top. Join us then, and remember to make coffee you love! This entry was posted in Uncategorized, Grinders, Educational on July 9, 2018 by Pat Cotter. 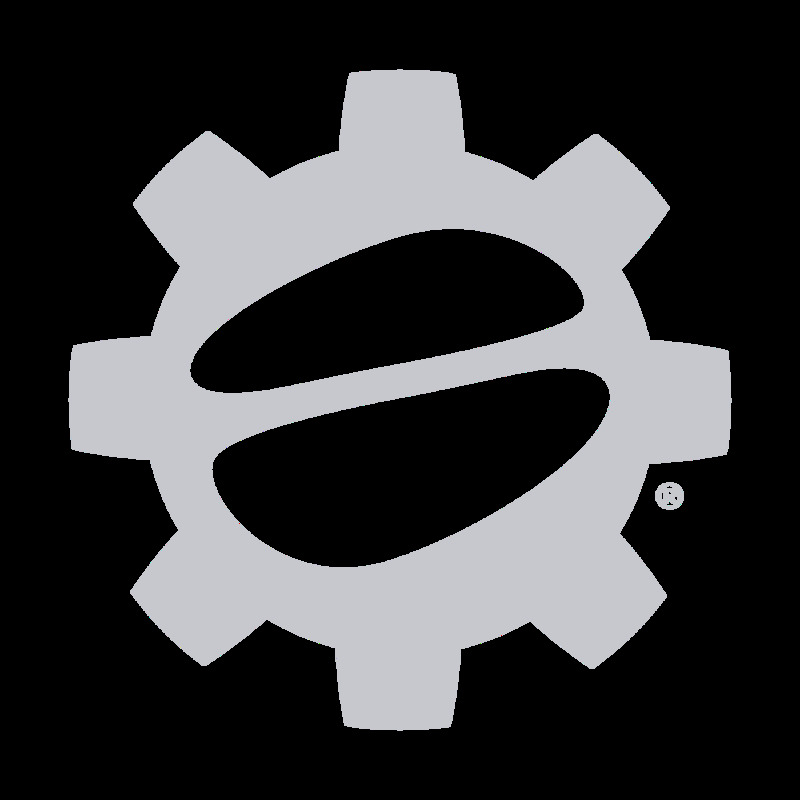 This entry was posted in Coffee & Tea, Grinders, Recipes, Superautomatic, SCG News on July 6, 2018 by Pat Cotter.